Here’s a way to celebrate Mother’s Day this coming May 8. Join the The Philippine Star Run For Mom. It will be held at Venice Piazza @ Mckinley Hill. You may register for the 2.5K and 5K, this run also also celebrates the Star’s 25th year anniversary. This is not a run for females alone or that mommies are the ones who will run. This run is open to everyone. Registration fees are P450 for 2.5K and P750 for the 5K run. All finishers get a singlet and a Gift to Moms. There will be a prize for the Top 25 placers for each race category (2.5 and 5km, regardless of gender), they will win P 2,500 each, for a total of 50 winners! For interested runners, you may register online and pay thru credit card or off line manual registration at Runnr. You may registration from April 1 – May 1, 2011. 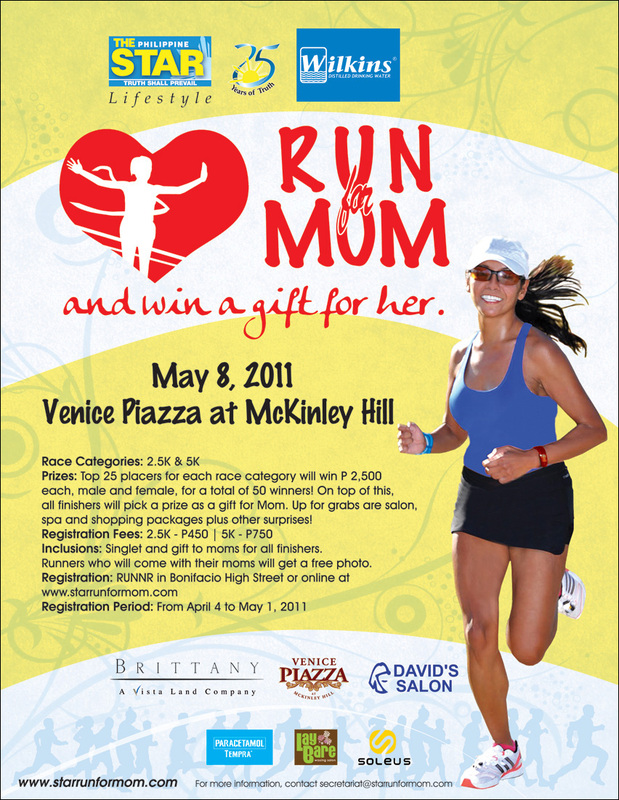 For more information, you may visit the Philippines Star Run for Mom Website. All you have to do is answer this question: Is it important to introduce your children to sport? 🙂 Here’s another good news, the first 1000 finishers get to receive a cool Finisher’s Shirt. 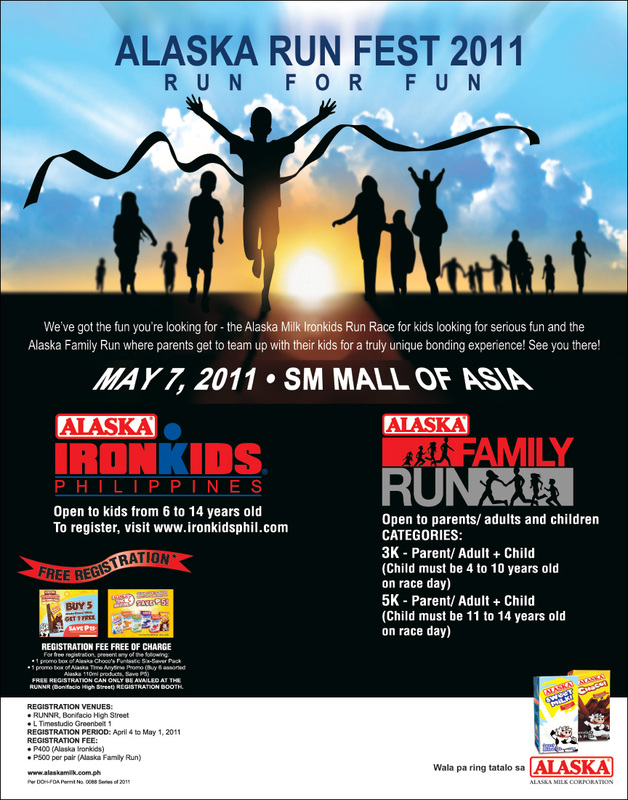 For more information about the race, you may visit the Alaska Family Run website here. Takbo Para Kay Kristo II – I Choose Life a run advocating Pro-Life which will be held on April 30, 2011, Saturday at 5am. Our targeted 3,000 runners will come primarily from the areas of Muntinlupa, Paranaque and LasPinas. The assembly area, start/finish will be at the Alabang Town Center (parking lot facing Rustan’s) The course will run through the Ayala Alabang Village. Being a runner has some perks, for me I don’t worry about gaining too much weight, it’s the loosing of pounds I’m more worried. I would watch my weight making it sure for me to be at my ideal weight. I can eat almost anything I want, I don’t care about the serving size, literally I eat everything that I want to eat especially desserts. 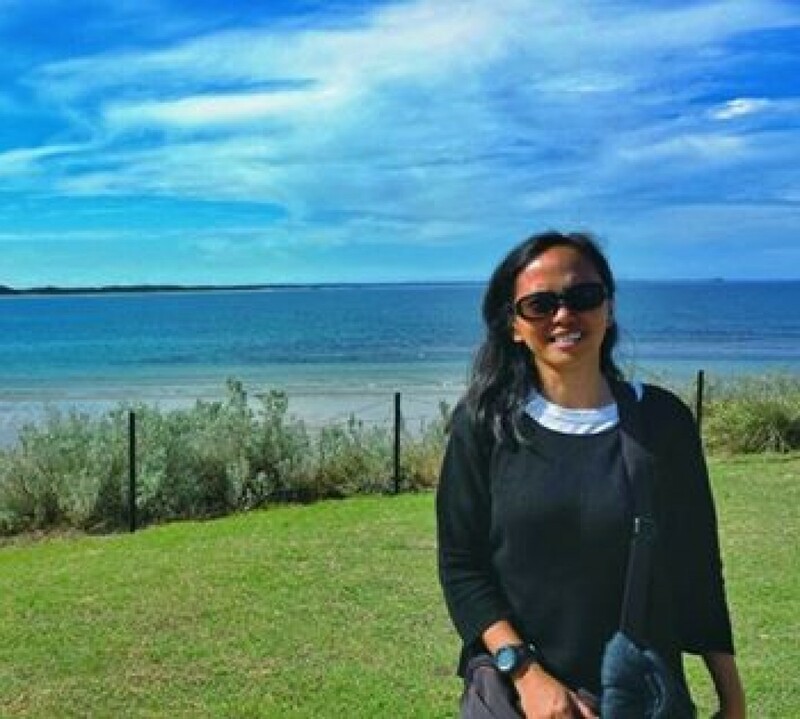 I love ice cream, leche flan, cake and everything sweet. And so when I heard about this run, I decided to join and registered for a half marathon. 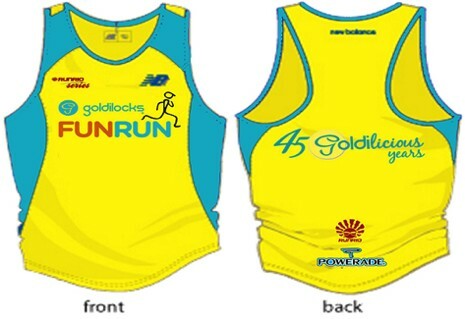 This race is targeting 10,000+ registered runners for the benefit of the Goldilocks Foundation through it’s F.E.E.D. program (Feeding Program, Education, Environment, and Disaster Assistance). Registration fee for the 500m dash is P250, for the 5K and 10K category is P600, and P750 for the half marathon. RUNNR BHS, R.O.X., Toby’s SM Mall of Asia, Planet Sports Glorietta and Trinoma, The Athletes Foot ATC and Robinsons Galleria and Goldilocks Shaw Blvd. The Athletes foot, Robinsons Galleria. Online registration period is from April 8, 2011 to May 1, 2011 only. 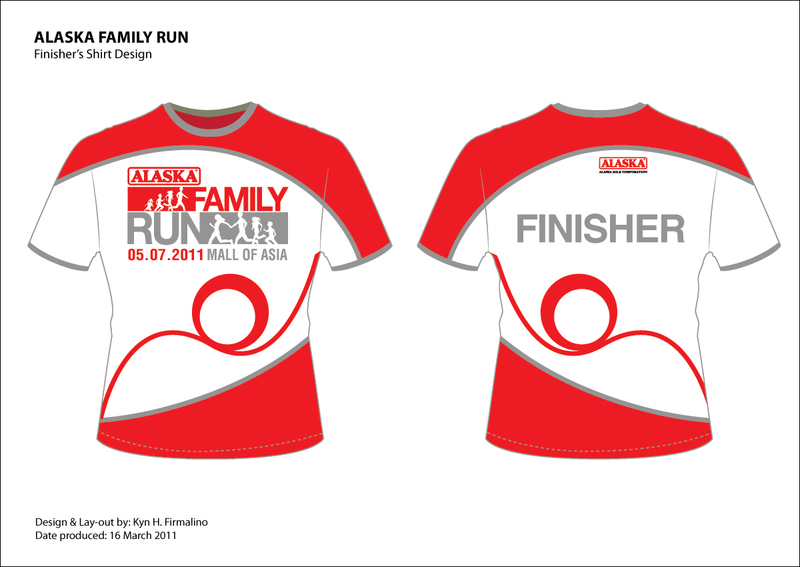 Delivery of race kits will start on April 15, 2011.